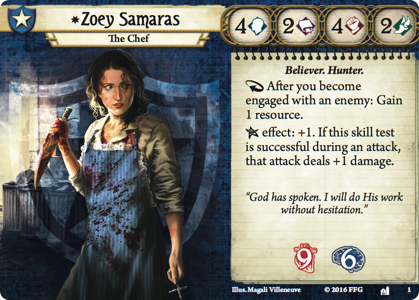 Interesting, I really like the idea of investigators that can pull only weaker cards from all classes. 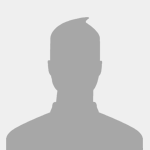 It also helps remove the complaints of not being able to have certain combinations. We may also not have to wait too long for the first expansion since it lists Q4 2016! So we are getting the core then a deluxe expansion and then the first cycle of packs? I think that's the first time I've seen that. I'm guessing that means the core has no tie to the first cycle. 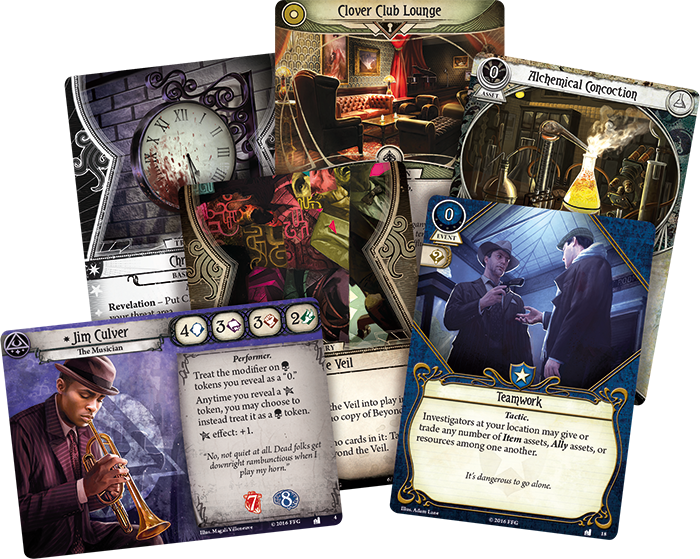 I wonder if investigators will only be released in deluxe expansions. My guess is they will only be released in deluxe expansions, It solves the dilemma of the small cards, since adding them to the packs would be difficult. I'm impressed there are 5 new investigators in the box and that it will be out this year. Yeah no kidding. 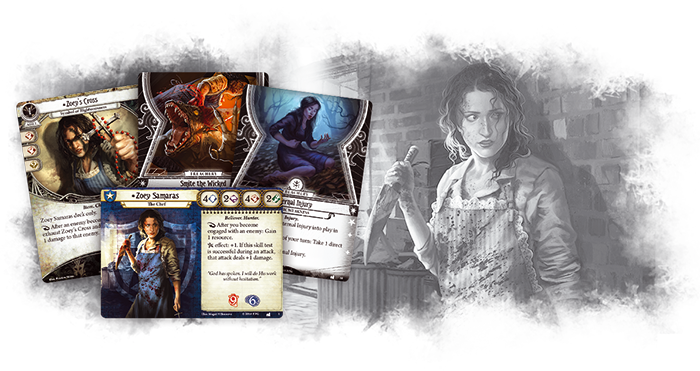 Five new investigators will greatly increase the width of this game right at the beginning. I think it was smart of them to structure the release this way. Agreed. 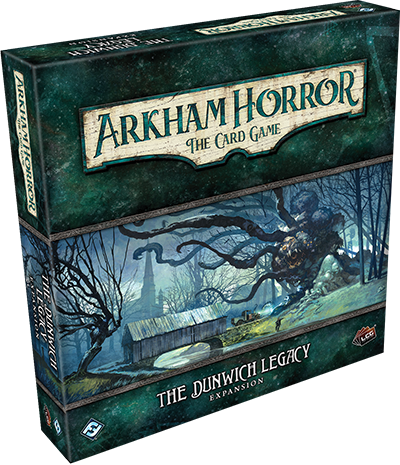 Kicking things off with a deluxe expansion, and what appears to be a lengthy campaign set in a well-known location with iconic characters, is just what the Arkham doctor ordered. Now if you'll excuse me, a dusty crate from Egypt full of strange manuscripts has unexpectedly arrived at my doorstep. I probably shouldn't read them, but what's the worst that could happen? Good news for me, as the Core didn't offer enough player cards to build anything interesting and the Mythos Packs would have not helped at a fast enough speed. This also pretty much confirms there will be no new investigators in Mythos packs, which is good, as players only buying the DE will be able to own and play with all the investigators, increaseing the replayability and flexibility of their stuff. So the question left would be if Mythos Packs will have 3 cards for each class (2 level 0 and 1 upgraded one like in the core set) plus 2/3 neutrals (player cards count 34/36, leaving 26/24 cards for the encounter decks, which seem too few, but maybe enough) or the classes will be oddly distributed (some with 3 cards, others with 2), having some of them more pressence in some packs and less pressence in others. I don't think there will be as many level 0 cards in the mythos packs. Since they take place further in the campaign, you want goodies to buy with your XP. I imagine 1 Level 0 card, it's upgrade, and 1 higher level card like Shotgun. 30-34 seems about enough, some classes may get less each pack to balance out as well. This is fantastic news. A deluxe so soon will give us a decent amount of cards to play around with. 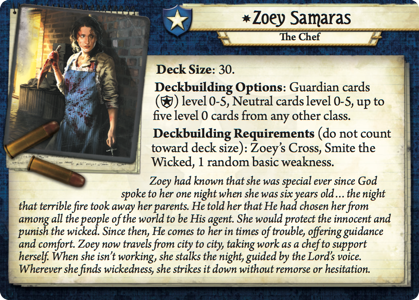 Also, I'm totally playing the holy chef! Reading things like this makes me think that this game may not be for me since I don't want the same card with "then draw a card" added to it to spend my XP on, I want new cards. Most don't just add, draw a card onto them. Blinding Light gets stronger, but also a larger penalty. It is only Lucky so far that does this. And it makes sense on a 1-shot win event. There are still new cards to get with XP like Shotgun, or Extra Ammunition. Rotation in LCGs means the smaller packs get removed over time. But deluxe expansions are kept in. Does anybody have any idea how this might work with Arkham, where the deluxe boxes link direct to the packs? I assume it will be like LotR, the other cooperative lcg. In other words, there likely won't be any rotation. I doubt this game would be considered for rotation since the reason for LOTR's exclusion holds true for AH as well. The player card pool for both games grow much slower than the competitive card games since so much of the releases are devoted to the scenarios. Therefore there isn't really a need for rotation. The game will most likely be retired well before the card pool becomes too large to be balanceable. Also as a co-op game they can easily adapt the scenarios to account for perceived imbalances in the card pool if that would be needed. Also they can pull tricks like the Nightmare decks from LOTR if the older quests need to adapt to power creep and such. That said I don't believe there has been any official announcement. Thanks for the answer. I didn't know how LoTR did it. Somehow, I had forgotten about the Holy Chef. Now, I remember! I don't remember the symbols: is Zoey a Fighter/Caster or a Fighter/Investigator? The concept of rotation only applies to competitive LCGs, not cooperative ones.